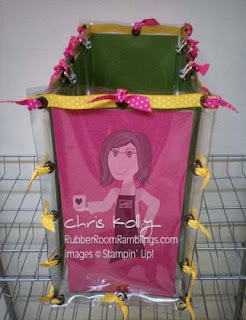 Rubber Room Ramblings: LOVELY FLOWERS VINYL BAG! I really like the Lovely Flowers Designer Series Paper from the Level Three Hostess set clled Lovely Flowers Bundle. 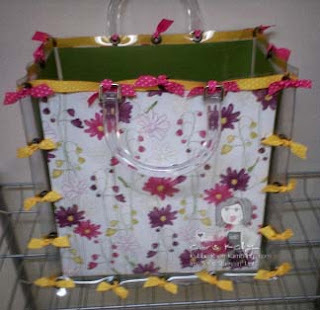 For this bag I paired up some Close to Curry and Melon Mambo Dotted Ribbons.